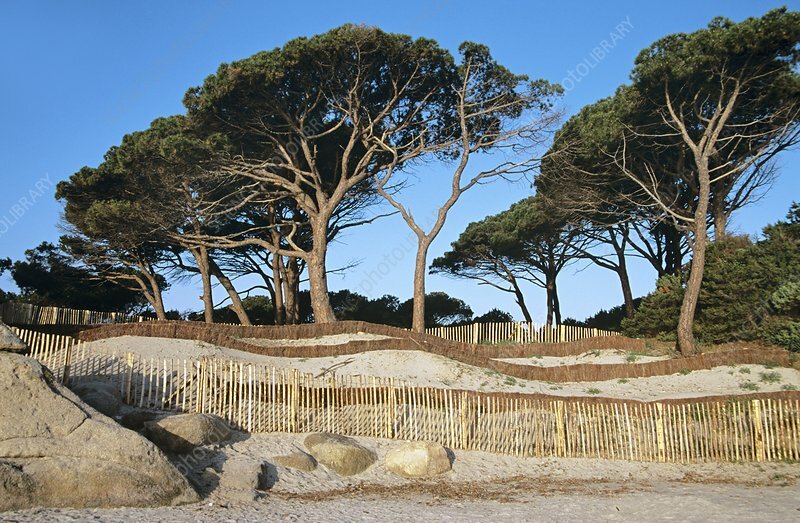 Trees and dune protection system. The trees are Pinus pinea, commonly known as stone pines, but also known as the umbrella or Italian pine. This species of pine is cultivated for the edible seeds contained within its cones. Fences across the dunes in front of the trees are intended to slow or prevent erosion of the dunes. Photographed in Palombaggia, on the French Mediterranean island of Corsica.